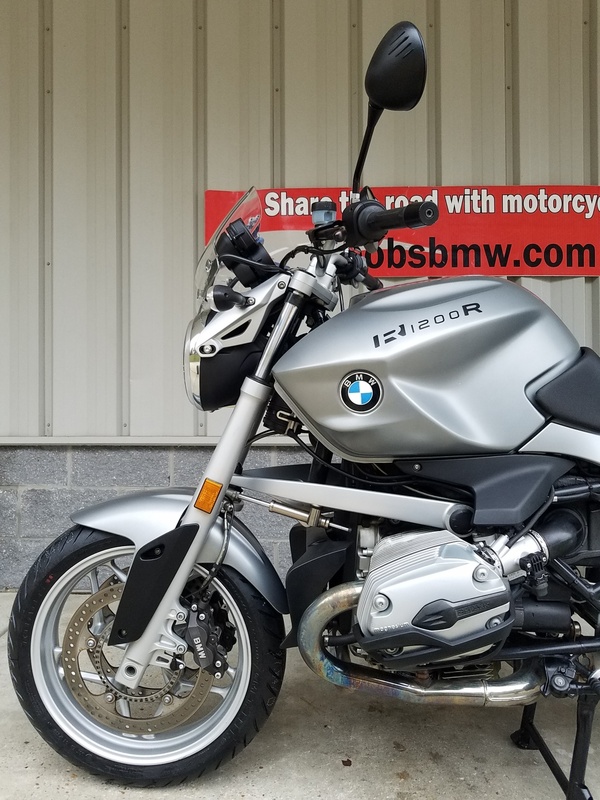 The standard BMW R1200R is part of a BMW lineage of boxer roadsters that has improved every year since the initial R850R & R1100R from the mid-1990s. It remains today as one of the best all-around, do everything machines available from any manufacturer. 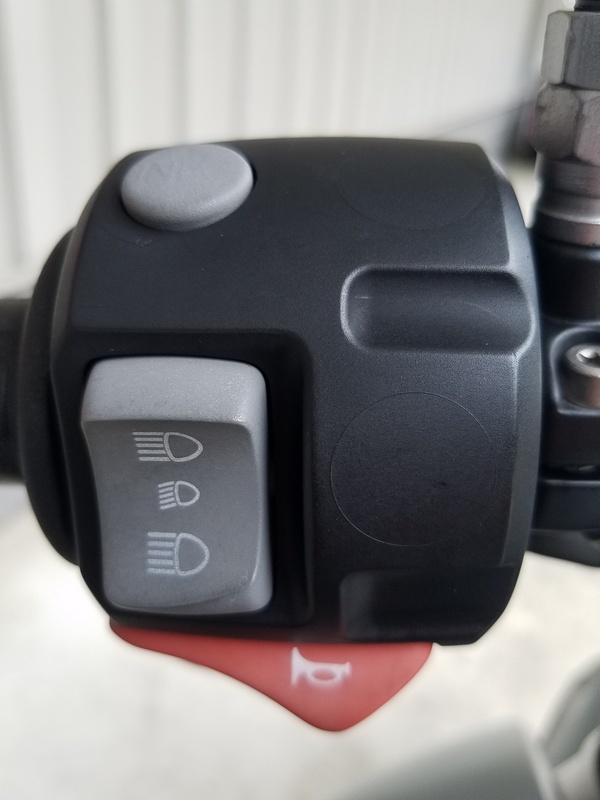 It has steadily gotten more powerful, more comfortable, better looking and smoother, as well as being offered with more and more of the features only found on the top of the line models. 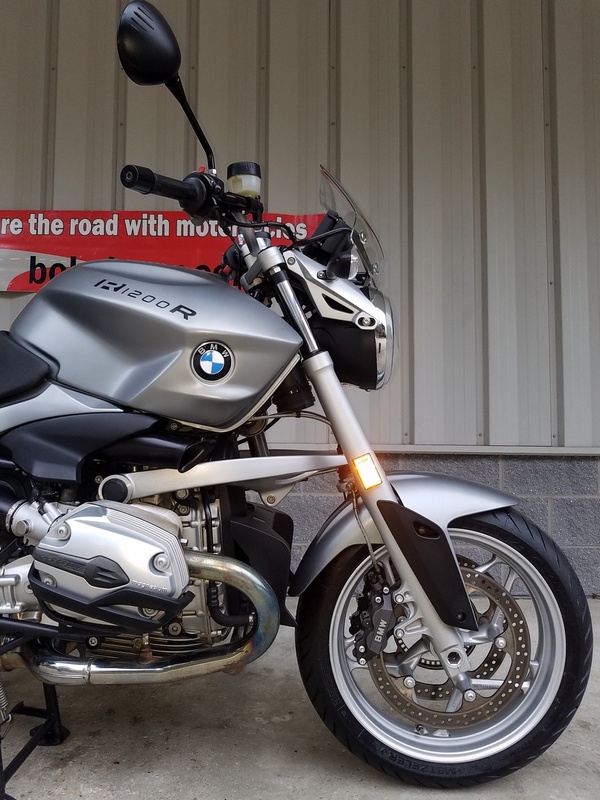 At Bob’s, here in the heart of the Mid-Atlantic (Maryland, Virginia, Delaware, Washington, D.C.) we never get enough good used R1200R’s to fulfill demand. 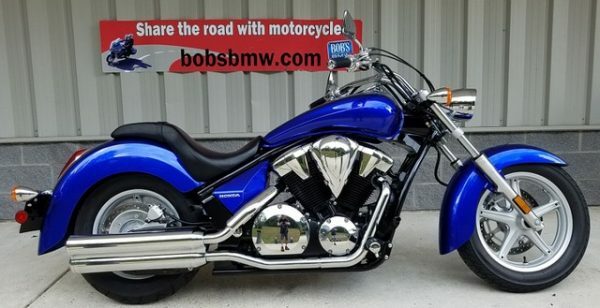 And full disclosure, as we are known to do, at the very beginning of this machines life it served many of our customers as a Bob’s dedicated service loaner. 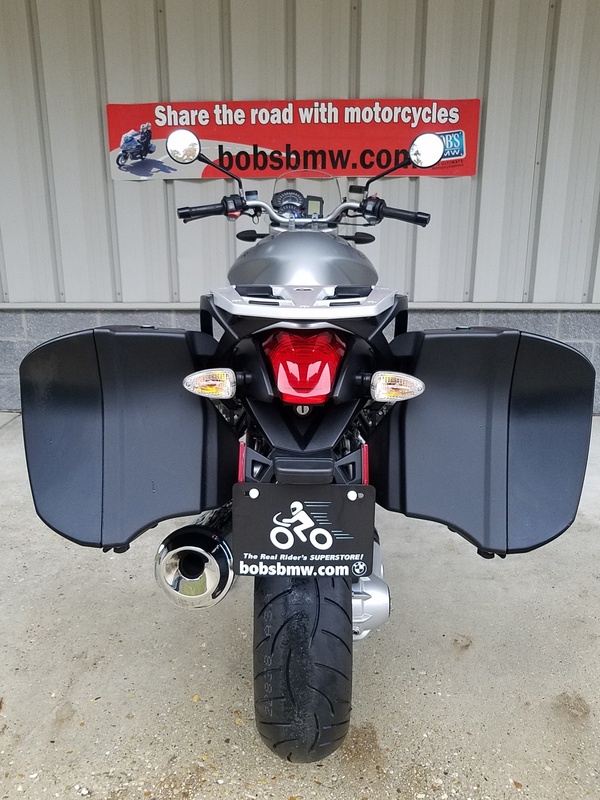 We regularly assign brand new BMW’s to the dealership to be available for our customers use when the BMW they purchased at Bob’s is in for scheduled maintenance, accessory installation and often other service. In fact because this R1200R was so popular we kept it in the fleet longer than most bikes by years and miles, doing one final big service in 2012 at about 25,600 miles before offering it for sale to the only registered consumer/owner other than Bob’s and BMW. 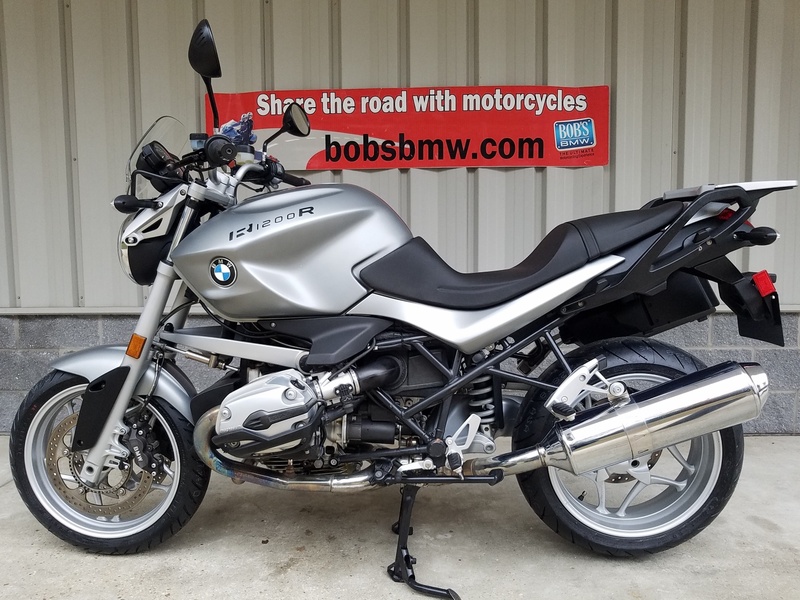 Today, there is a different fleet of 6 fresh BMW’s and come spring at least half of them will have changed again making for a few more top notch used BMW’s available here at Bob’s on which we have and can share the full service history – that’s valuable knowledge that only a small percentage of used bikes carry when sold. 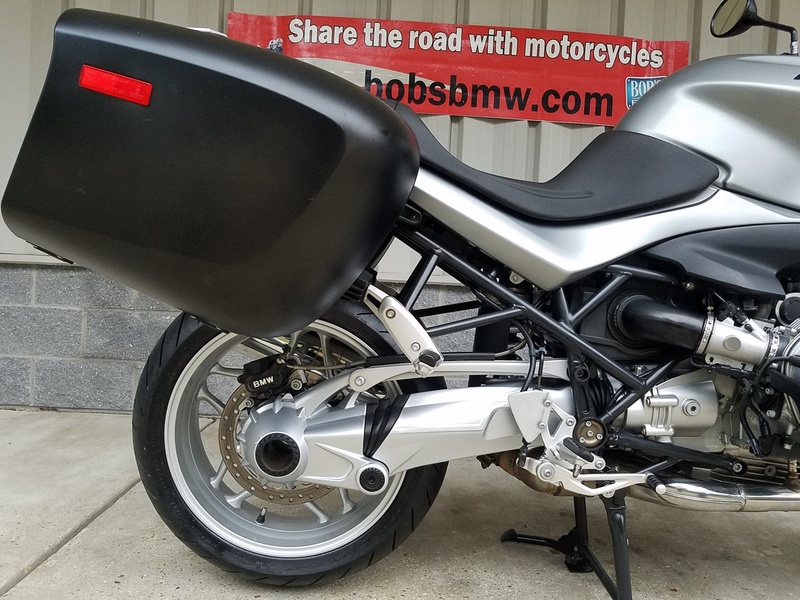 So while just one owner has technically owned, ridden and cared for this nice example it has been ridden by many but always serviced and cared for to the highest standards possible. 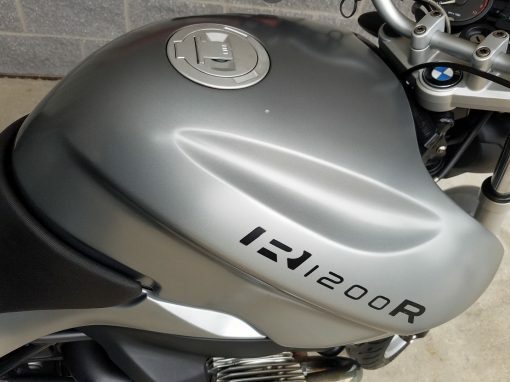 We do not scrimp on our service loaners because we and our customers depend on them to never let them down. Even on the cosmetic side our service loaners typically are washed often and fully detailed twice a year to keep them in top condition. It is sure to make someone very happy and while it is not loaded with extras it does come with the stuff everyone wants and one can always add a few more accessories to make it all yours; our in-house certified accessory experts can help the next owner w/a package to fit any budget or desires! 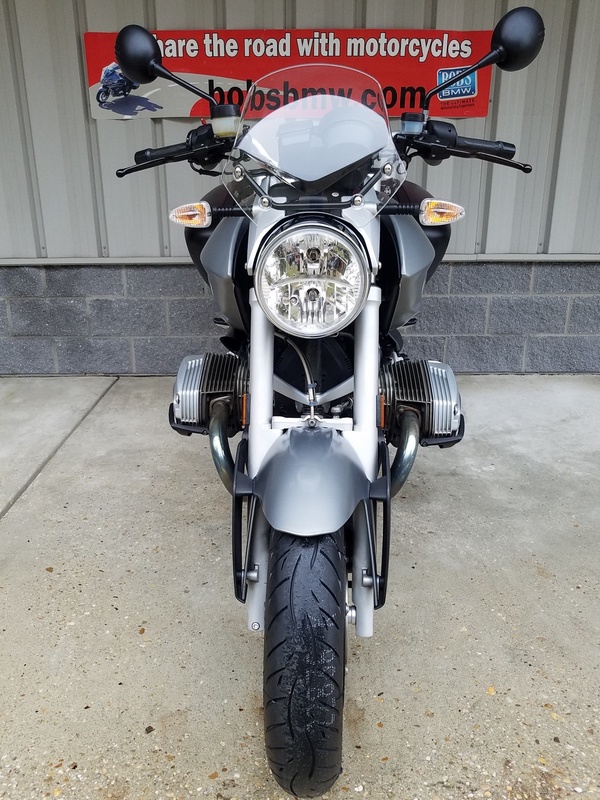 In addition to the industry standard setting Tele-lever and Para-Lever chassis design and ABS this fine machine also boasts many other great features, extras that make it safer, more fun, more exciting and more desirable than most other motorcycles on the road. Period. 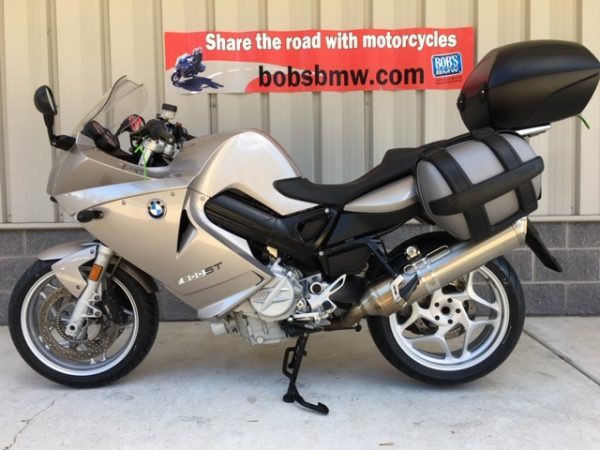 They are, in no particular order: On board computer (temp, fuel economy & more), chrome over stainless steel exhaust pipe, heated grips, luggage grid (rack), ABS (anti-lock braking system), saddlebag mounts, steering damper, white turn signal indicators, center stand and the and factory lower comfort seat. 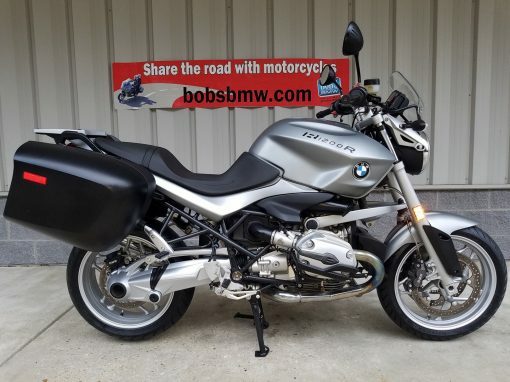 This one also has a BMW sport windscreen, a set of BMW composite cylinder head guards plus BMW locking and easily detached touring saddlebags key matched to the bike along with other standard features like the satin gray/silver drive line components and the cast alloy multi-spoke wheels. Cosmetically and mechanically on every possible level this machine is in very nice condition but it is not without a few very minor scratches from its dependable service over the last 11 years but we know that anyone who sees and then rides this machine will be seriously impressed as it presents well and operates even to a higher degree of perfection. When looking to trade, service and then price this fine machine for resale we found examples with many more miles and in a few cases double the mileage with asking prices similar to ours for what we feel are far lesser machine for a wide variety of reasons including mechanical aspects, cosmetic condition, accessories included and especially the current maintenance status, so let us share where this bike is now. 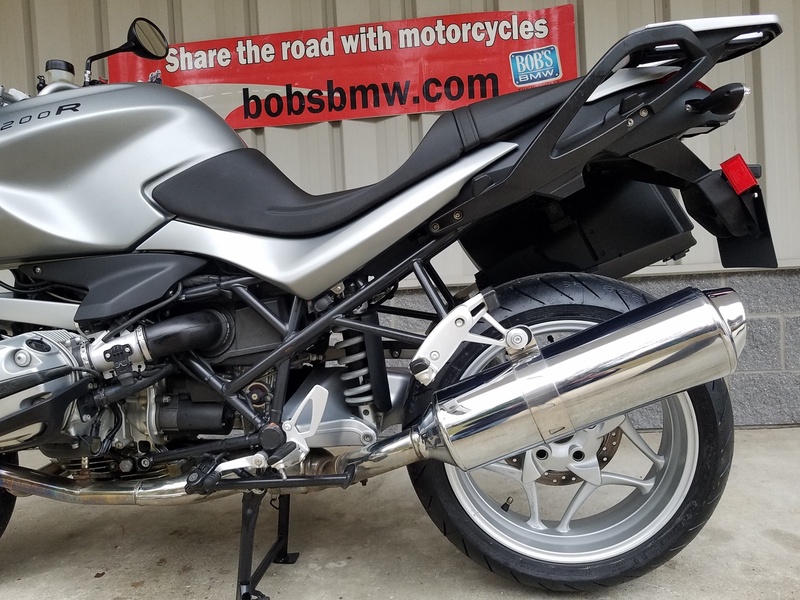 This one has had the recent rear wheel flange recall completed as well as had a new fuel pump assembly installed under the current campaign, this part carries a two year warranty from BMW going forward from the recent date of installation here at Bob’s. we also went to great lengths to make this a superb, turnkey used BMW even though it is a year outside of our exclusive ADVANTAGE CERTIFIED Program guidelines. 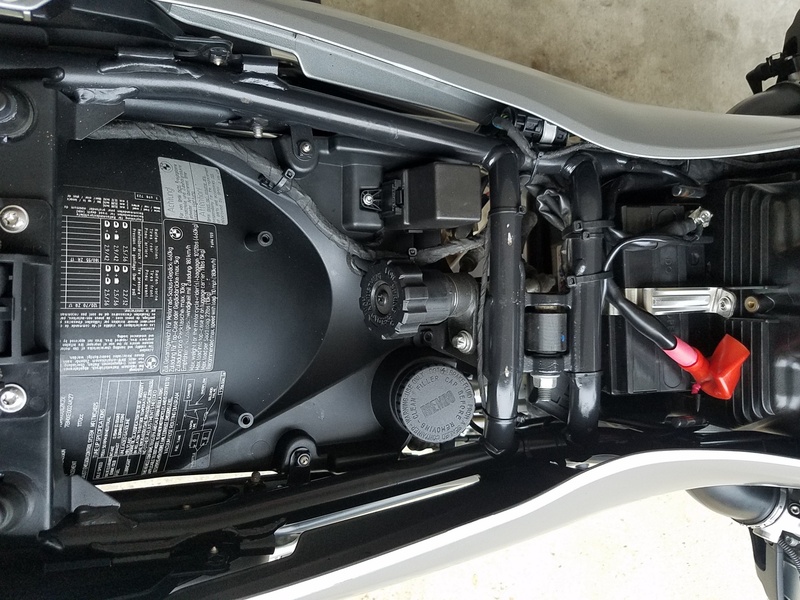 We’ve just installed a new set of Metzeler tires filled with Nitrogen for life*, completed a full and very extensive Inspection II, 36,000 mile service plus a biannual (think all fluids and filters, check and adjust valves, brake fluids, sync throttle bodies and more. 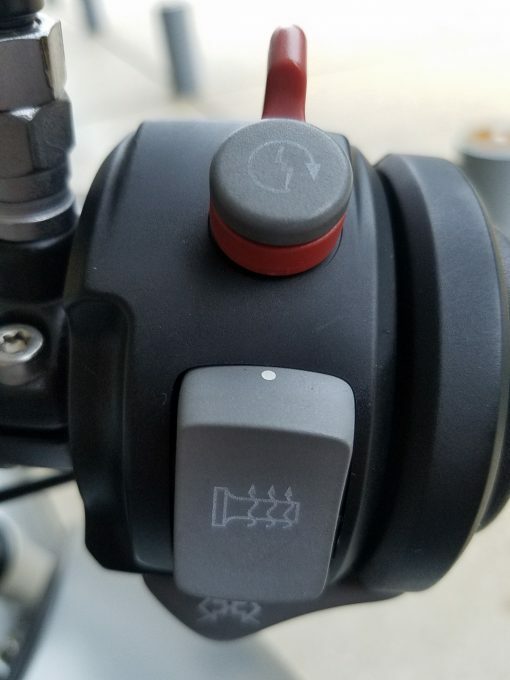 We also replaced a few bits of hardware so that any light rust we could find was addressed. 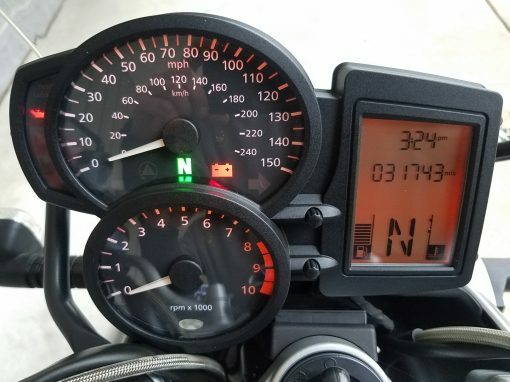 The rear brake disc was replaced in 2012 when we did that extensive service prior to selling it for the first time so the next owner should not worry about that for a long time since it has just over 6,000 miles on it. The master Tech responsible for this machine took it out for a good test ride and then turned his attention to the Maryland Safety Inspection (MSI) and confirmed that everything was well above the specifications laid out by the state of Maryland; the fresh certificate of complete is on fine. 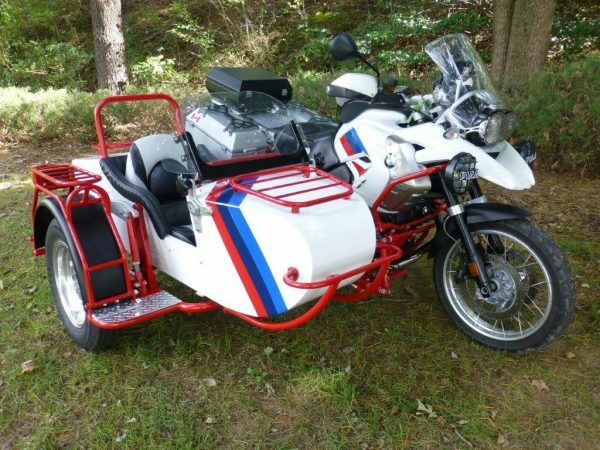 This one comes without the owner’s manual but has the standard BMW tool kit located under the seat in its own pouch and two BMW ignition keys which also fit the seat lock for optimum convenience. A better value on a superb, clean, fully serviced, good looking hard to find BMW standard is simply not out there. Grab it before someone else does; call our sales advisors today. 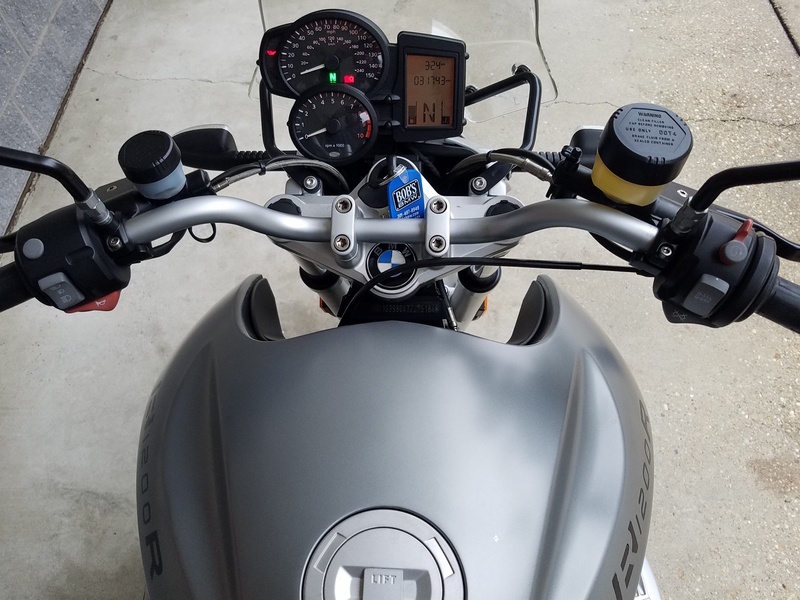 • MD Inspected and READY to Ride!